“A man is a god in ruins. When men are innocent, life shall be longer, and shall pass into the immortal, as gently as we awake from dreams.” (Ralph Waldo Emerson). 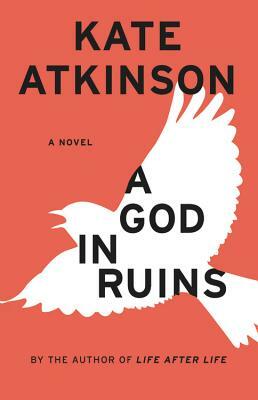 In this companion novel to Life After Life, Kate Atkinson again examines her theme of infinite chances. She turns her attention on Teddy, the adored brother of Ursula. We meet Teddy as an adult - RAF bomber pilot and family man- as he comes to terms with an increasingly modern era he did not expect to live to see. By giving Teddy the opportunity to survive his harrowing WWII experience, Atkinson invites us to consider what makes a meaningful life and how we use the second chances we are given. Kate Atkinson's first novel, Behind the Scenes at the Museum, was named England's Whitbread Book of the Year in 1996. Since then, she has written eight more ground-breaking, bestselling books, most recently Life After Life. She lives in Edinburgh, Scotland.